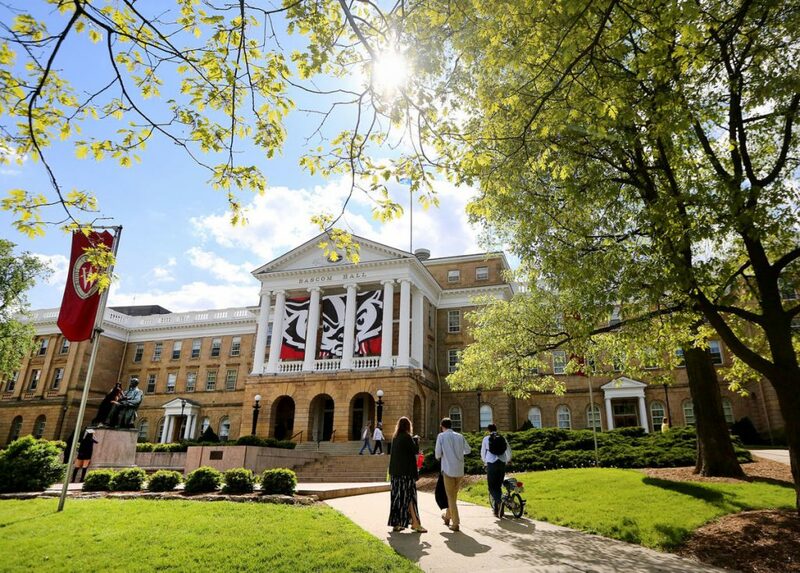 Republicans are threatening to go after the state funding of the University of Wisconsin at Madison over a new course that examines the Problem of Whiteness. Unless the course is cancelled, state Republicans include Rep. Dave Murphy have been putting his staffers to work on eyeballing the other courses offered at the state-funded school to check if they’re “legit.” Although Rep. Murphy says that he doesn’t want to be involved in the management of the post secondary institution, he still believes that the professor responsible for outlining and teaching the course should be relieved of his job. 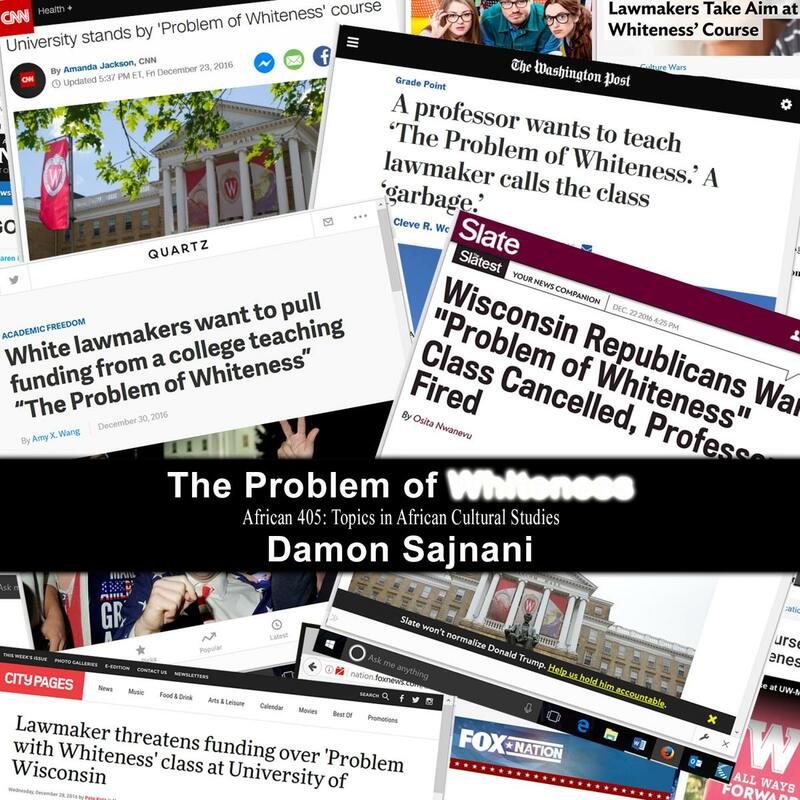 This image, below, was taken from the online course description for The Problem Of Whiteness, with the class number 405 in the African Cultural Studies Department under Prof. Damon Sajnani. Everything about this class bothers me, even down to the fact that the person who wrote this description thinks that America is the “standard” of race relations. When Booker T. Washington made history as the first black American to be invited to the big house in D.C. by a sitting President, Democrats lashed out including Sen. Benjamin Tillman who said that Roosevelt’s acceptance of a “n****r [in the White House] will necessitate our killing a thousand n*****rs in the South before they will learn their place again.” And yet Washington doesn’t belong in a course on the Problem of Whiteness? Doesn’t this just prove that the course is a sham and that the Professor doesn’t want to provide a frank atmosphere to discuss race, but just a place to promote left-wing ideals? 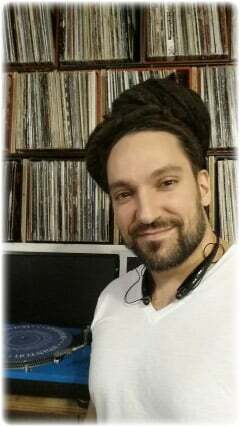 This spring, he is set to teach both The Problem Of Whiteness and alos Global HipHop and Social Justice. As for Prof. Sajnani, he earned a Masters and a Ph.D. in African American Studies at Northwestern in 2011 and 2015 after earning degrees from the University of Toronto. For more insanity in higher education, check out where Black Lives Matter dimwit Deray McKesson taught at Yale using the same book by author and leftie Ta-Nehisi Coates. I took a bogus liberal arts degree too, but how on earth did I manage to read more black and non-English authors than these dweebs?